The Punisher Season 2 debuts this week and Netflix has just dropped an action-packed trailer. Billy Russo is back, but he has a gang with him this time around and his brain isn't functioning properly after Frank Castle beat him to a bloody pulp at the end of the first season. While he won't be literally called Jigsaw, his brain is desperately trying to put the pieces back together and he's out for revenge. Frank Castle was leading a quiet life for a while, but things don't always go as planned. The Punisher Season 2 sees Jon Bernthal's character as he gets involved in the life of Giorgia Whigham's character after she's almost killed. We get to see a tease of this in the latest promo, and from there on out, the action just keeps coming. Now that Frank has a fresh target on his back, he's also going to have to deal with the return of Billy Russo and his gang. Frank Castle and Billy Russo were best friends back in the day, but Russo proved to be anything but a friend in The Punisher Season 1. Ben Barnes, who plays Russo, has said that Season 2 is showing a different take on the Jigsaw character, which is more psychological and different looking than the comic book version of the villain. Russo's scars underneath his mask are far less severe than they are in the comics, which has some fans worried that the Netflix show isn't staying true to the source material. Now that The Punisher Season 2 is gearing up for release this week, many are waiting to see how long it takes for Netflix to announce its cancellation. The streaming platform has been going through and canceling all of their Marvel shows, starting at the end of last year with Iron Fist, Luke Cage, and then Daredevil. Marvel fans are still holding out hope that these shows will be revived at Disney+ in the near future, but there has not been any confirmation on that at this time. 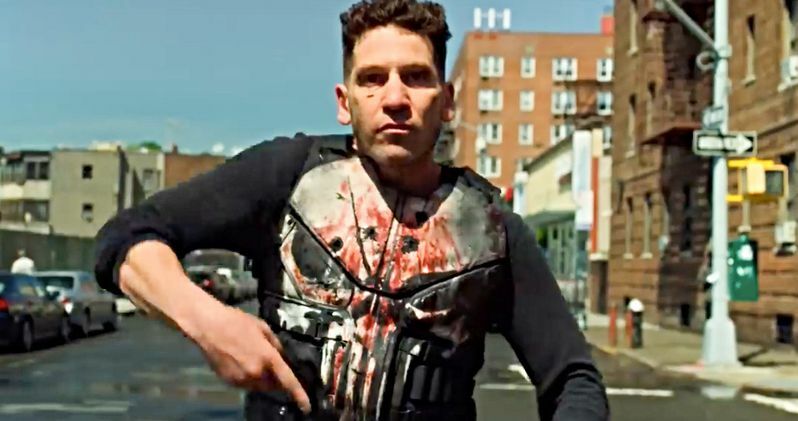 Fans have also really taken a liking to Jon Bernthal's take on Frank Castle, so cancelling The Punisher might be even bigger news than the cancellation of Daredevil. The Punisher Season 2 premieres Friday, January 18th, exclusively on Netflix. Early reviews have been starting to come in, so it might be best to ignore certain areas of social media if you want to go in completely spoiler-free and without any preconceived thoughts as to how the highly anticipated Season 2 will play out. The wait is almost over and this new promo is just the thing that fans might need to get extra excited for the return of Frank Castle. You can watch The Punisher Season 2 promo below, provided by the Netflix YouTube channel.